At Google play store You find many free recharge apps and earning apps to earn some money. But some limitations you can earn some money from this apps. So here we post full tutorial guide to hack this android apps. We also some posts some useful hacking softwares which helps to hack this type of app. 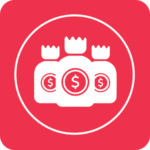 By our method you can loot by making your own referral , Bypass their offers and so much creativity. 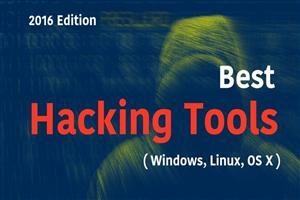 We posts some basic ideas , For every app need new method to hack so research for your own good by this hacking tools. 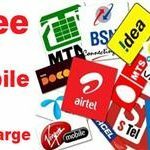 By this tools you can change your model id , imei number and other useful information which this apps needed so every time you change , Do self referral and earn more and more. So guys are you ready to hack android apps then follow little and simple steps. 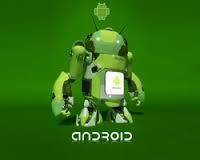 Install Custom Recovery of your android mobile. Custom recovery is a process to make your device in a unique way. For installing this you need flashing tool of your mobile and recovery image of your model. Then flash this image via pc into your device. For more search on google. Many ways to root your android mobiles like many custom roms is already rooted. You can root your mobile by pc. is you don’t have pc then root your mobile without pc. Xposed is great tool to for activating different models for our android phones. For working this we need install custom recovery and root our mobile. Clear cache and then reboot. For more you can help google. You can search on playstore , Simply install like other apps. Now activate their modules from xposed framework. Open xposed then tick on Device emulator and then grant permission and finally reboot. If you don’t install this all apps then you can try Phone id changer. By this app you can change your all values like android id , imei number values without xposed and custom recovery. Just you need to root then install phone id changer > Give root permission. After the all setup Now the step is come how to hack ? Follow steps below to use this all setup apps. Before follow the steps you need to install and make new main account of any app. Then note down their referral code. Do self referral by our steps and loot this apps. After copying your referral > Clear data of this app. Open device emulator app > Click on Random all values > Reboot. Now your device have different id’s which this app tracks. So your device is now new handset. Now again make new account on it by entering your refer code. You get referral amount is credited in your main account. Repeat this steps to loot more. Now untick device emulator module from xposed. Reboot , Open your hacked app and check your credited amount , redeem this earning free. Not all earning apps is hacked by pc but some is working. You know about bluestacks or youwave. In youwave you just click on “Hard reset” to change all value’s and again install by your refer code. In bluestack you can change this id’s by bluestack tweaker. 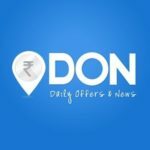 Discussion on "How to Hack Any Free Recharge or Earning Android App For Loot"